^ Google Keynote at AnDevCon II. Development Team. 2011-11-09. ^ Android Developers: Dashboards. developer.android.com. 2017-07-01 [2017-07-08]. ^ Android - History. Android. （原始内容存档于2017-05-14）. ^ Ludwig, Adrian; Miller, Mel. Diverse protections for a diverse ecosystem: Android Security 2016 Year in Review. Google Security Blog. Google. March 22, 2017 [March 22, 2017]. （原始内容存档于March 22, 2017）. We released monthly Android security updates throughout the year for devices running Android 4.4.4 and up—that accounts for 86.3 percent of all active Android devices worldwide. ^ Android Security Bulletin—April 2018 | Android Open Source Project. Android Open Source Project. [2018-04-02] （英语）. ^ Android – Nougat. Android. （原始内容存档于2016-08-22）. ^ Android – 8.0 Oreo. Android. [2017-12-05] （美国英语）. ^ Google Launches Android, an Open Mobile Platform. Google Operating System. 2007-11-05. ^ Live Google’s gPhone Open handset alliance conference call (transcript), Gizmodo, 2007-11-05 . ^ Google releases Android SDK. Macworld. 2007-11-12. ^ Morrill, Dan. Announcing the Android 1.0 SDK, release 1. Android Developers Blog. 2008-09-23 [2011-01-12]. ^ T-Mobile Unveils the T-Mobile G1 – the First Phone Powered by Android. HTC. [2009-05-19]. ^ 23.0 23.1 Topolsky, Joshua. T-Mobile G1 review, part 2: software and wrap-up. Engadget. 2008-10-16. ^ 24.0 24.1 24.2 24.3 24.4 Release features – Android 1.0. Google. ^ 25.0 25.1 25.2 T-Mobile G1 (Google Android Phone). PC Magazine. ^ LaCouvee, Darcy. 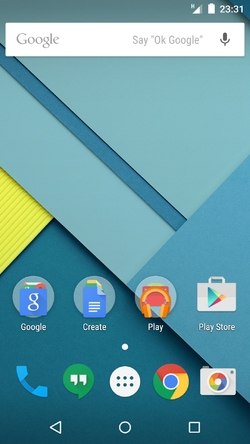 Folders on the Android desktop, and how to rename them. Android Authority. 2008-10-17. ^ Status Bar Notifications. Android Developers. ^ Android for Dummies. TechPluto. 2008-09-18. ^ Ducrohet, Xavier. 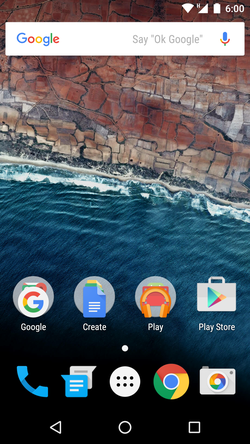 Android 1.5 is here!. Android Developers Blog. 2009-04-27 [2009-09-03]. ^ Rob, Jackson. CONFIRMED: Official Cupcake Update Underway for T-Mobile G1 USA & UK!. Android Phone Fans. 2009-04-30 [2009-09-03]. ^ Android 1.5 Platform Highlights. Android Developers. April 2009 [2009-09-03]. ^ Ducrohet, Xavier. Android 1.6 SDK is here. Android Developers Blog. 2009-09-15 [2009-10-01]. ^ Ryan, Paul. Google releases Android 1.6; Palm unleashes WebOS 1.2. ars technica. 2009-10-01 [2009-10-01]. ^ Android 1.6 Platform Highlights. Android Developers. September 2009 [2009-10-01]. ^ Android 2.0, Release 1. Android Developers. [2009-10-27]. ^ Android 2.0 Platform Highlights. Android Developers. [2009-10-27]. ^ 37.0 37.1 Android 2.0.1, Release 1 SDK. Android Developers. [2010-01-17]. ^ 38.0 38.1 Android 2.1, Release 1. Android Developers. [2010-01-17]. ^ Savov, Vladislav. Next Android version will be called Froyo, says Erick Tseng. Engadget.com. 2010-01-16 [2010-01-16]. ^ Android support for memory card app storage is finally "coming soon". Google Code. [2010-05-01]. ^ Google's Andy Rubin on Everything Android. NY Times. [2010-05-20]. ^ Nexus One Is Running Android 2.2 Froyo. How Fast Is It Compared To 2.1? Oh, Only About 450% Faster. androidpolice. [2010-05-13]. ^ A Video Of An Adobe Evangelist Showcasing Flash 10.1 Smoothly Running On A Nexus One With Android 2.2 Froyo. androidpolice. [2010-05-13]. ^ Exclusive: Google To Add Tethering, Wifi Hotspot To Android 2.2 Froyo. TechCrunch. 2010-05-13 [2010-05-13]. ^ Browser support for file upload field is coming in Froyo. Google Code. [2010-05-13]. ^ 46.0 46.1 Unofficially Confirmed Froyo Features, Post-Day-1 Of Google I/O. Android Police. [2010-05-20]. ^ Aronsson, Lars. Android 2.2.1 update for Samsung Galaxy S now rolling out via Kies. androinica.com. 2011-01-18 [2011-11-17]. ^ Hollister, Sean. Nexus One gets tiny update to Android 2.2.2, fixes SMS routing issues. engadget.com. 2011-01-22 [2011-11-17]. ^ Android Team“Laser Focused”On The User Experience For Next Release. ^ Android 2.3.3 Platform. Android Developers. ^ Video Chat on Your Android Phone. Google Mobile Blog. 2011-04-28. ^ Arghire, Ionut. Android 2.3.5 Arrives on Galaxy S in the UK. Softpedia.com. [2011-12-01]. ^ Ali Waqas. Android 2.3.6 Gingerbread Update For Nexus S Available [Wi-Fi And Tethering Fix]. Addictive Tips. 2011-09-28 [2011-12-20]. ^ 56.0 56.1 Android 3.0 Platform Highlights. Android Developers. [2011-02-23]. ^ Rubin, Andy. A Sneak Peek of Android 3.0, Honeycomb. Google Mobile Blog. Google. 2011-01-05 [2011-01-05]. ^ Xavier Ducrohet. Final Android 3.0 Platform and Updated SDK Tools. Android Developers blog. 2011-02-22 [2011-02-23]. ^ Mithun Chandrasekhar. Google's Android Event Analysis. AnandTech. 2011-02-02 [2011-02-05]. I confirmed this with Google; Honeycomb, at least in the current form, will not be coming to non-tablet devices. ^ Nilay Patel. Motorola Atrix 4G and Xoom tablet launching at the end of February, Droid Bionic and LTE Xoom in Q2. Engadget. 2011-01-26 [2011-02-05]. ^ Ducrohet, Xavier. Android 3.1 Platform, New SDK tools. Android Developers Blog. 2011-05-10 [2011-05-10]. ^ Android Supported Media Formats. Andro Med Formats. 2011-08-04 [2011-08-04]. ^ Issue 1461 - android - FLAC file support enhancement request.. code.google.com. [2011-08-05]. ^ Ducrohet, Xavier. Android 3.2 Platform and Updated SDK tools. Android Developers Blog. 2011-07-15 [2011-07-16]. ^ Darren Murph. Huawei MediaPad revealed first 3.2 tablet. Engadget. 2011-06-20 [2011-06-20]. ^ Barra, Hugo. Android: momentum, mobile and more at Google I/O. The Official Google Blog. 2011-05-10 [2011-05-10]. ^ Calling All Ice Cream Sandwich Lovers. YouTube. ^ Rey, Francis. Android 4.0 Ice Cream Sandwich SDK Now Available. Social Barrel. 2011-10-19. ^ Stevens, Tim. Google confirms Nexus S will get Ice Cream Sandwich -- for real this time（Gingerbread devices, too）. Engadget. 2011-10-19. ^ Messina, Vincent. Ice Cream Sandwich source code released, custom ROMs inevitable. AndroidGuys. 2011-11-15. ^ Molen, Brad. Android 4.0 Ice Cream Sandwich now official, includes revamped design, enhancements galore. Engadget. 2011-10-19 [2011-10-19]. ^ German, Kent. Ice Cream Sandwich adds tons of new features. CNET. 2011-10-18. ^ Velazco, Chris. A Quick Android 4.0 Ice Cream Sandwich Feature Rundown. Tech Crunch. 2011-10-18. ^ Kennemer, Quentyn. Android 4.0 Ice Cream Sandwich has Hardware Acceleration. Phandroid. 2011-10-19 [2011-10-19]. ^ Lia, Sindre. Android 4 Breaks New Ground (Part 6). infoSync. 2011-10-21. （原始内容存档于2012年1月18日）. ^ Verizon’s 4G LTE Galaxy Nexus Gets Pictured, Receives Android 4.0.2 Update. DroidLife. 2011-11-28 [2011-12-08]. ^ Within 2 Hours of Activation, Your Galaxy Nexus Will Receive an Update. DroidLife. 2011-12-15 [2011-12-15]. ^ Android 4.0.3 announced, bringing 'variety of optimizations and bug fixes' to phones and tablets. Engadget. 2011-12-16 [2011-12-17]. ^ Monday's Google event in NYC canceled due to Hurricane Sandy. [2012-10-29]. ^ Android 4.2 Jelly Bean lands on Nexus 7. Know Your Mobile. 2012-11-14. ^ Google Releases Nexus 4, Nexus 10 and Android 4.2. IGN. 2012-11-13 [2012-11-16]. ^ 82.0 82.1 Rahman, Mishaal. Here’s Everything New in Android P Developer Preview 1 for the Google Pixel/XL and Pixel 2/XL. XDA Developers. 2018-03-07 [2018-03-08]. ^ 83.0 83.1 83.2 Welch, Chris. The biggest early visual changes in Android P. The Verge. 2018-03-07 [2018-03-08]. ^ DNS over TLS support in Android P Developer Preview. Google Security Blog. 2018-04-17.